If it wasn’t clear already (it was), the weeks following the Weinstein revelations have proven beyond doubt that the entertainment industry has a sexual harassment problem, both in the high number of perpetrators and in the way that sexual harassment complaints are handled. So how does an industry largely based around the sexualization and objectification of women fix a system that feels irreparably broken for victims of assault and harassment by powerful men? 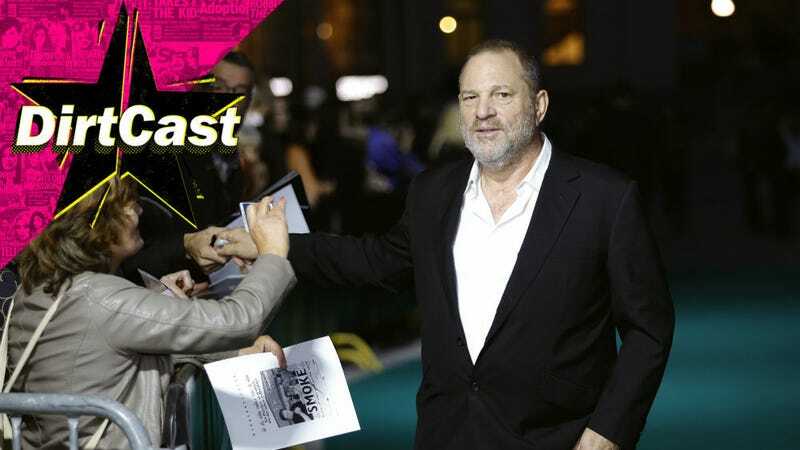 This week on DirtCast, we welcome Caroline Heldman, political scientist, Associate Professor of Politics at Occidental College, and representative for the Geena Davis Institute on Gender in Media to discuss the resources currently in place for survivors and what needs to be changed. Heldman, who has personally experienced the backlash of accusing powerful men of sexual harassment after opening up about being harassed by Fox News’s Bill O’Reilly and Eric Bolling, says the current options for victims are depressingly limited and ineffectual. But, as Heldman notes, retaliation is commonplace and often, even in companies that have functioning HR departments. And such protective mechanisms aren’t taken seriously, leading many victims feeling that they’re ultimately safer not reporting their harassment.